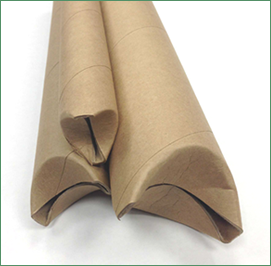 Chicago Mailing tube makes a 1.6” x 15” self-locking cardboard kraft mailing tube that’s perfect for shipping almost any product. Whether you’re shipping bulk wholesale products, or a single measurement specific item, Chicago Mailing Tube can provide perfectly sized self-locking tubes. Our affordable shipping tubes can be made to any size, and used to ship paper, plastic, posters, blue prints, textiles, and more. Chicago Mailing Tube products are carefully tested to ensure maximum quality. Chicago Mailing Tube will ensure that your shipping tube is made to fit your order exactly. With our vast selection of kraft mailing tubes, Chicago Mailing Tube is capable of meeting any order. No order is too big or too small, and tubes can ship within 24 hours! Call us today at (312) 243-6050 for a quote on our heavy duty mailing tubes, or fill out our contact form for more information.